It’s that time of year again, tax season. For Humber students who may be filing their taxes for the first time or haven’t filed them yet, IGNITE is hosting a free tax clinic. IGNITE provides students with a tax clinic every year and this year the clinic opened on March 26 and will remain open until April 26. The tax clinic on North Campus is located in room KX205 and students must book an appointment online beforehand. The clinic is open from Monday to Thursday from 10 a.m. to 4 p.m.
Stokely Lindo, IGNITE vice president North, said the tax clinic is operated by accounting students at Humber who are trained volunteers. He said the accounting students are preparing to write their CRA exam and the clinic helps them apply the skills they’ve learned. Lindo said the appointments are half an hour long and spaces fill up quickly. He said the tax clinic is quite busy throughout the month. He described his experience as filing for taxes as being an “eye-opener.” Lindo said he did not know that as a student he could potentially get money back from the government when he first came to Canada from Jamaica. He said many other international students may not be aware of this either, especially during their first year here. Even if students do not have a job they should still file their taxes. “It is beneficial, especially for students who are here by themselves and don’t know how to do file their taxes,” he said. Lindo said the more money you pay for tuition and rent, the greater your chances are of getting more money back. He also noted the textbook tax benefit students could have previously claimed, but that particular benefit can no longer be claimed since it was recently eliminated. Lindo said another change that students should be aware of is the public transit benefit, which is another tax benefit that was taken away. However, any monthly bus passes that were used from January 1, 2017, until June 30, 2017, can still be claimed. He said other tax benefits students can claim include tuition, rent, moving, medical, and donation costs, along with any money students have already paid off from their loans. Students do need to have receipts of the expenses listed above in order to show proof of payment. Students can access their T2202A tuition tax receipt online on the MyHumber website. 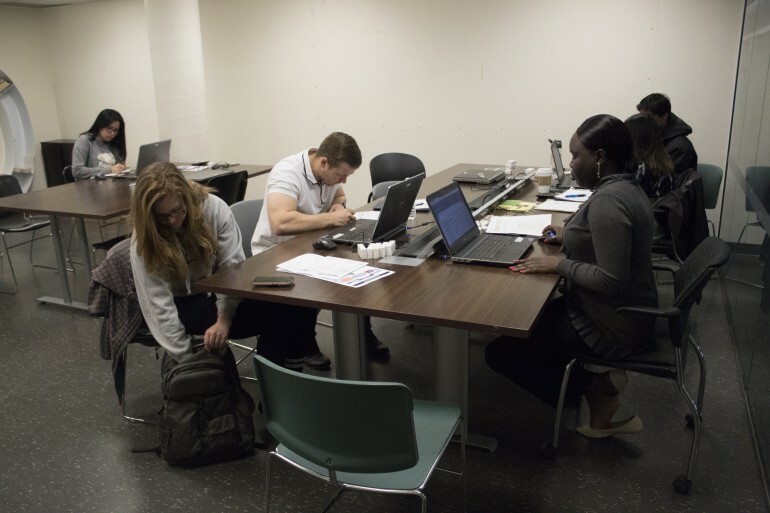 Connor Callei, a gaming programming student, and Sarah Sampagna, a food and nutrition management student, both 18, and said they will be filing their taxes for the first time on their own. However, they said they are not really aware of what tax benefits they can claim outside of what their parents tell them. They said that filing taxes does seem confusing and that many of their friends feel the same way. But they said they are glad there are resources they can access, such as the tax clinic, which they can reach out to for extra help. A pamphlet created by IGNITE states anyone who arrived in Canada prior to Dec. 31, 2017, does have to file their taxes. Although, anyone who arrived in Canada after Jan. 1, 2018, will have nothing to file for the year of 2017 and therefore does not need to file anything this year. For more information about IGNITE’s tax clinic and lists what students need to bring to a tax appointment, go to IGNITEstudentlife.com/events/tax-clinic.